Mladá Boleslav, 26 July 2017 – Spanish ŠKODA importer rejuvenates the Wild West: with the exceptional mobility project ‘The Desert Cowboys’, the Czech car manufacturer is supporting economically underdeveloped towns and communities in Spain’s Tabernas Desert. Once upon a time, the Tabernas was the location used for many world-famous classic western films. Today, the region in the province of Almería is suffering from the effects of demographic decline – its population has halved in recent decades. ŠKODA in Spain has set itself the goal of helping to put the region back on the map as a new film hotspot and to promote economic development. In addition, the company is involved in a variety of projects for local people. These include setting up a free shared taxi service, with the ŠKODA KODIAQ playing the main role as a modern stagecoach. Furthermore, the manufacturer is supporting the Almería Western Film Festival as an official sponsor. The 1960s and 1970s were the heyday of the spaghetti western, also known as the Italian western. The classic films of this time not only made directors such as Sergio Leone and David Lean world famous, but also numerous actors including Clint Eastwood, Burt Lancaster, Orson Welles and Henry Fonda. Many of these cinematic artworks were filmed in the Tabernas Desert in Andalusia, Spain. Its sparse landscape served as the ideal backdrop for international western film productions. Up to 50 films were made in the province of Almería every year. When the popularity of the western genre dwindled, the Tabernas Desert’s heyday came to an end. Only five films were shot here in 2016. In general, the economically underdeveloped region is suffering from major demographic decline. Numerous towns such as Marchalico, Hueli and Marcheño have been completely deserted. Many other regions in the country face the same problem: according to official statistics, the number of villages in Spain with less than 100 inhabitants has gone up by 358 to 1,286 since the year 2000. 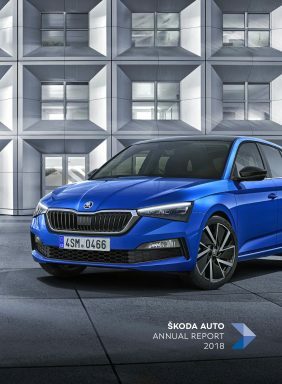 Spanish ŠKODA importer in collaboration with ŠKODA headquarters has taken the initiative to stop this trend in the former Spanish film Mecca and other European regions. With the project ‘The Desert Cowboys’, the long-standing Czech brand wants to breathe new life into the Tabernas Desert. 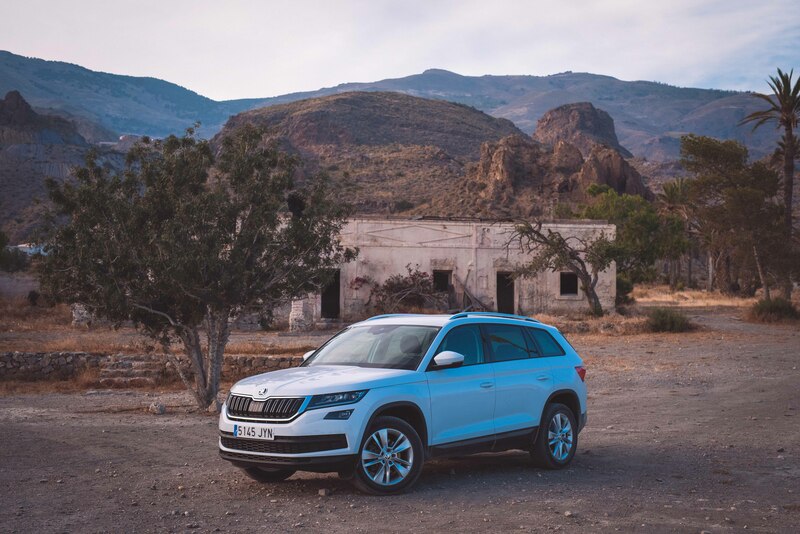 Here, the ŠKODA KODIAQ takes centre stage – as a kind of modern, 21st century stagecoach, it connects the individual villages, some of which are very remote, by taking on the role of a free shared taxi. The brand’s first large SUV has the ideal characteristics for this: the KODIAQ impresses with the largest boot capacity within its segment, up to seven seats and more than 30 ‘Simply Clever’ features. Due to innovative connectivity solutions and modern assistance systems, the SUV model, which is optionally available with all-wheel drive and direct-shift transmission (DSG), always reaches its destination safely – even in the rugged Andalusian desert. At www.thedesertcowboys.com, Spanish ŠKODA importer in collaboration with ŠKODA headquarters provides information about the promotion with entertaining videos produced in the great western style and tells the stories of people who are benefiting directly from the project. Apart from the ŠKODA KODIAQ, several inhabitants of the Tabernas Desert also take the spotlight – just like in the desert’s cinematic heyday. Together, they fight isolation and build new bridges. ŠKODA has set itself an ambitious goal with ‘The Desert Cowboys’: to enable the KODIAQ to connect the communities, the video about the promotion should hit at least five million views. In this way, every internet user plays their part in the project’s success and helps the economically underdeveloped region in Southern Europe to gain new strength. In addition, ŠKODA is an official sponsor of the Almería Western Film Festival, which will take place this autumn from 11-14 October. The event is all about the allure of western films. Since 2011, it has been attracting visitors from around the world to Tabernas every year and puts the appeal of the province of Almería for both film production and tourism in the spotlight. Traditionally, ŠKODA has taken its responsibility to society as a whole very seriously with activities including work for people in remote areas. In 2015, for example, the brand donated an all-wheel-drive OCTAVIA SCOUT to the town of Valdelinares – the highest municipality in Spain – thus preventing the closure of the local school.